The Roma Scout Center is a new, original, hospitality and welcome center. The center offers welcome services to youngsters, families, individuals, professionals, scouts and their families. Everyone can stay in Rome in a central location, friendly, comfortable, with a great value for money . Simplicity, sustainability and attention to the needs of our guests are the keywords of the Roma Scout Center. 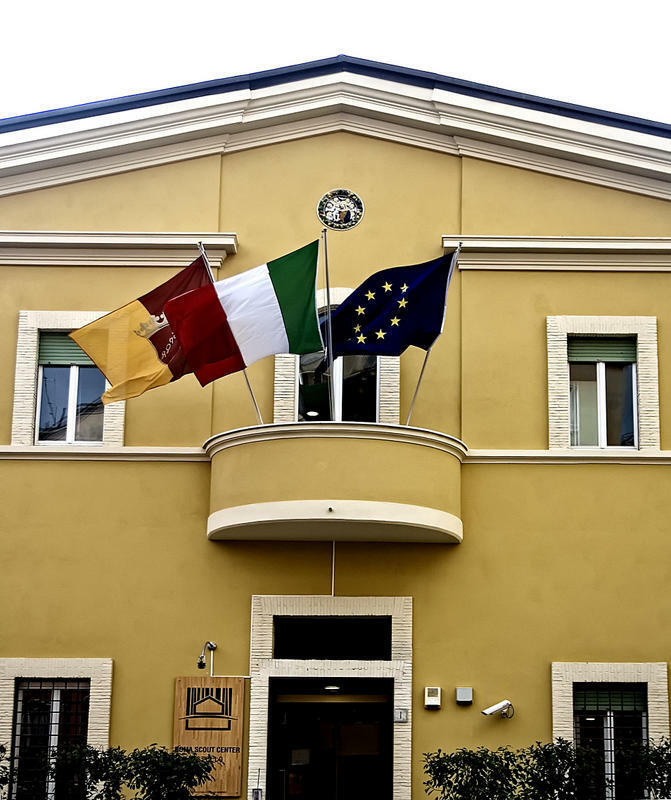 The Roma Scout Center was born from the association scout world. It will be possible to stay in quadruple room with shared external bathroom or in double rooms with private bathroom, for a total of 120 beds. There is also a wide offer of 'meeting rooms' from 20 to 300 seats. Classica: Room with 4 beds , reading light, lockers, desk, air conditioning. The bathroom is in common and at the same floor. Twin: room with twin beds or double bed, private bathroom, desk, TV and air conditioning. This room can have an extra bed. Minisuite: room with twin beds or double bed, private bathroom, lounge, desk, TV and air conditioning. This room can have 2 extra beds. From Ciampino Airport: You can choose to reach us via the shuttle bus connecting the airport with Termini railway station or by shuttle buses that reach the terminus of metro line A, then take the underground to Termini and make the change in line with Metro B.